I think the participles needed help — they were dangling! They have a bad habit of that. I wish you had been my high school English teacher. I might know what all this stuff is called and which was which. Since you write, you know a lot of it and how it works; you just don’t know what to call the different parts. That’s absolutely right. The only problem is that I work as a writer and editor! But I am quite good at faking knowing what is what in a sentence. But if I’d had you as a teacher, I’d know. You probably know more than me. Would you mind if I printed this out and hung it on my office door? Not sure my students would get it, of course, alas, but colleagues would! I would be honored, RAB. I read through your perfect post of doing and being and suffixing, knowing that your perfect past is gone forever. 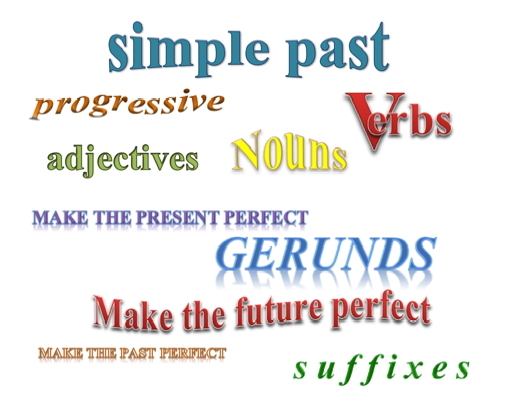 However, those progressive verbs could get you back in touch with it. I have been trying (in more ways than one). Well, you know I love this one! Might wish to share with my students at some point, too. I figured you could relate. And please feel free to share. I’m delighted that you do. It’s makes me happy to know that.